In June 2018, MIXvoip celebrated its 10th anniversary. On this occasion, we wanted to thank our team for their daily hard-work and dedication. We didn’t want to do the old fashioned meeting with standing ovations or the traditional “you are the best” praise. … We wanted something more personal. 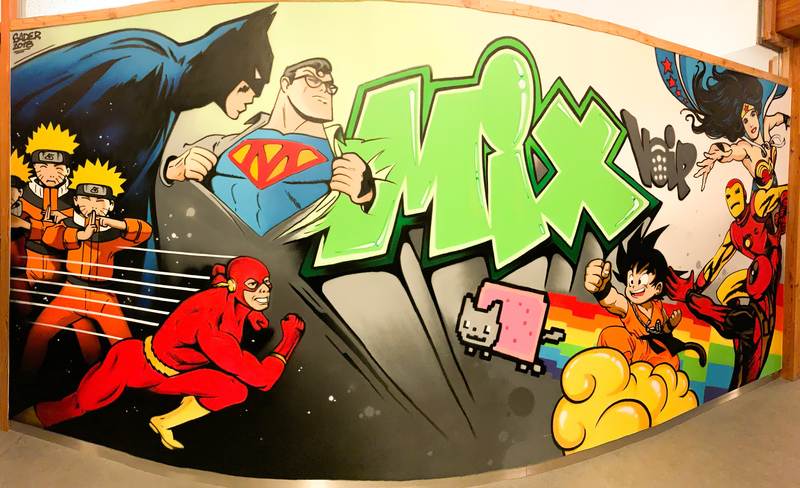 Each (super)hero on this graffiti represents a department of the company and above all, our real heroes, those of MIXvoip’s daily life: our employees. MIXvoip’s success is their success.